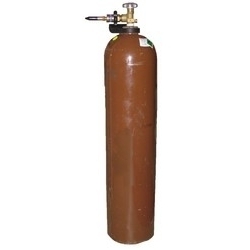 We are highly acknowledged for manufacturing quality Helium Gas which comprises of inert helium gas, gas mixtures. It is a colorless, odorless, non-toxic, non-flammable at room temperature. Helium is widely used in the welding industry as an inert shielding gas for arc welding. It is used both as a pure gas and in combination with Argon. It is widely used for welding and in various industries such as nuclear reactor, semiconductors, lasers, light bulbs, instrumentation engineering, medical applications, cryogenics and research & development laboratories.